Red legs in Soho. 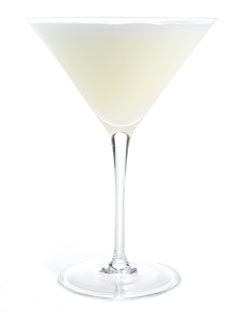 : The White Lady Cocktail. Some drinks are naturally summery, the Pimms cocktail tastes like a deconstructed trifle, minus sherry and jelly and condensed cream. Then there are the exotics: the Daquiris, big creamy Pina Coladas and Margaritas. The latter is a favourite of mine. Because I like my cocktails very very cold and in little triangular glasses. When I say cold however I do not mean full of ice. My Californian friend raised the curious disparity in transatlantic drinking. The Brits are mean with their ice and the Americans are over-generous. My idea of a summer drink is not a long glass tube filled with flavoured ice. But I like my drinks icy, that is strained and shaken through ice. Martinis are too strong and the taste of Manhattans and Cosmopolitans only occasionally pleasing. My favourite summer tipple is, after a medicinal Margarita (well they seem to cure all my ills) the White Lady. It was invented by the venerable H. Craddock at the Savoy in 1930 and was Laurel and Hardy’s favourite tipple. More recently LeCarre’s Fred Leiser insistently tried to press it on other characters. Shake well with ice, strain into a chilled cocktail glass. Do not decorate with a cherry! Glace cherries are nasty things. Pink Lady: add a dash of Grenadine. Blue Lady: add a dash of Blue Curacao. Balalaika: replace gin with vodka.